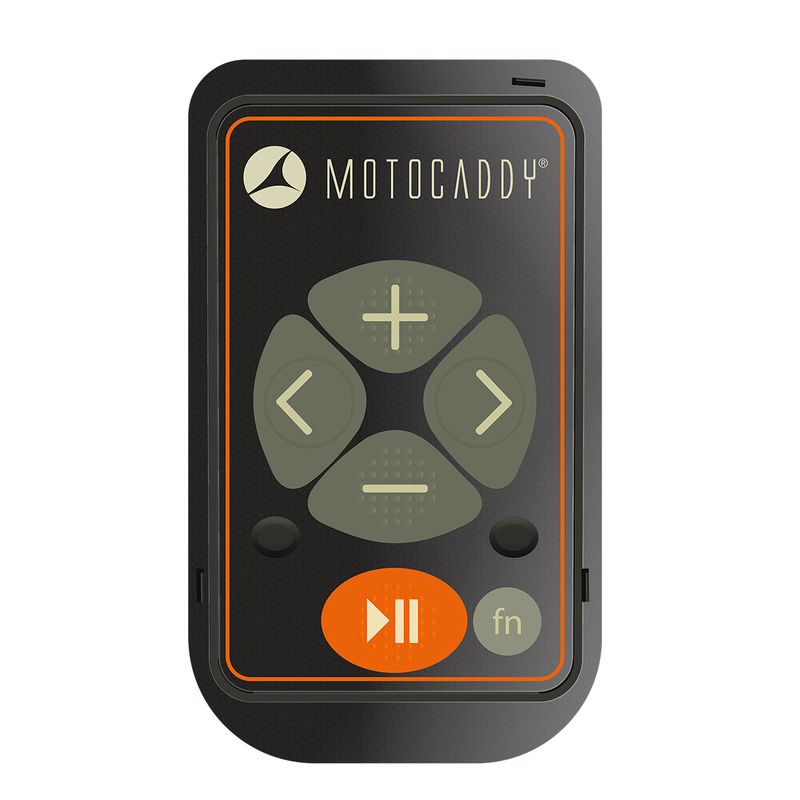 The Motocaddy S7 Remote is simply a joy to use, with intelligent rechargeable lithium handset remote control and exceptional precise control. 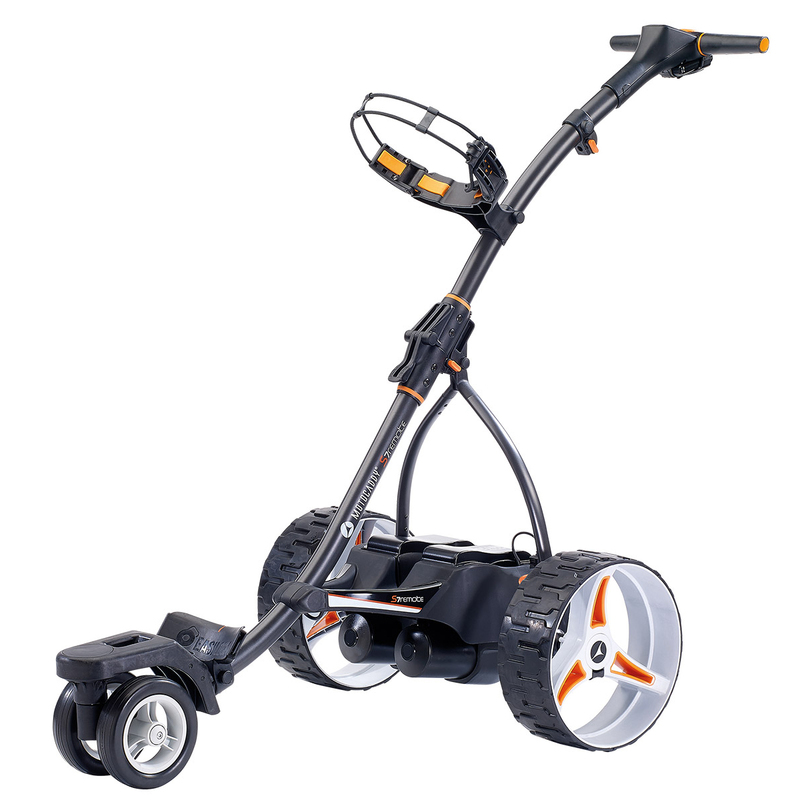 The system uses a combination of Lithium power and precision with nine speed settings and an anti-tip wheel at the rear to help compensate the balance on steep hills on some golf courses. 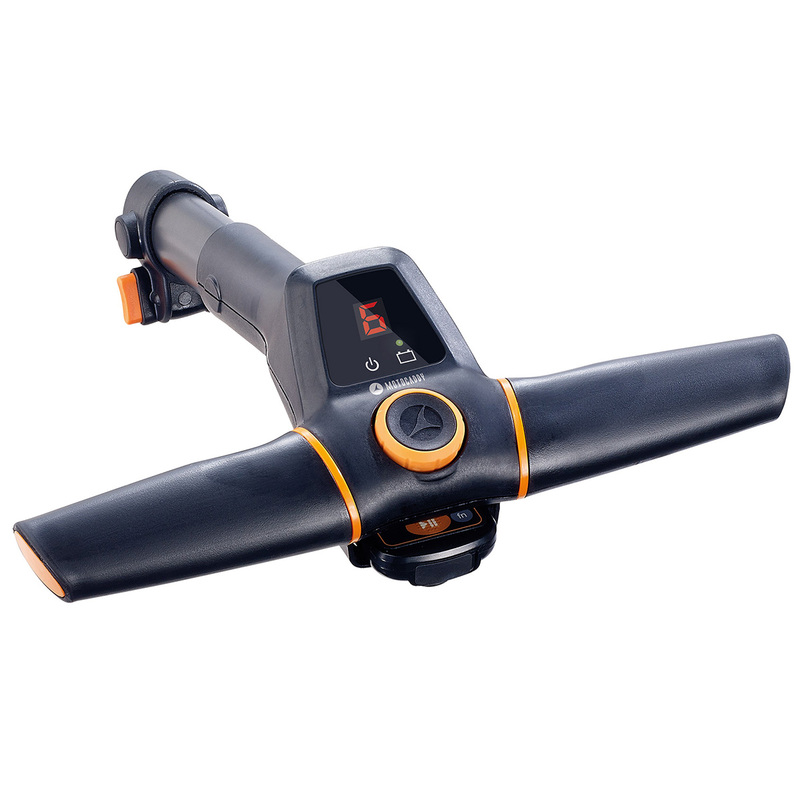 Advanced electronics to make it easy to switch from manual mode over to full remote control with access to forward, left, right, reverse, pause & resume function controls, and has a range of 50m cutout or 45s to hibernation . 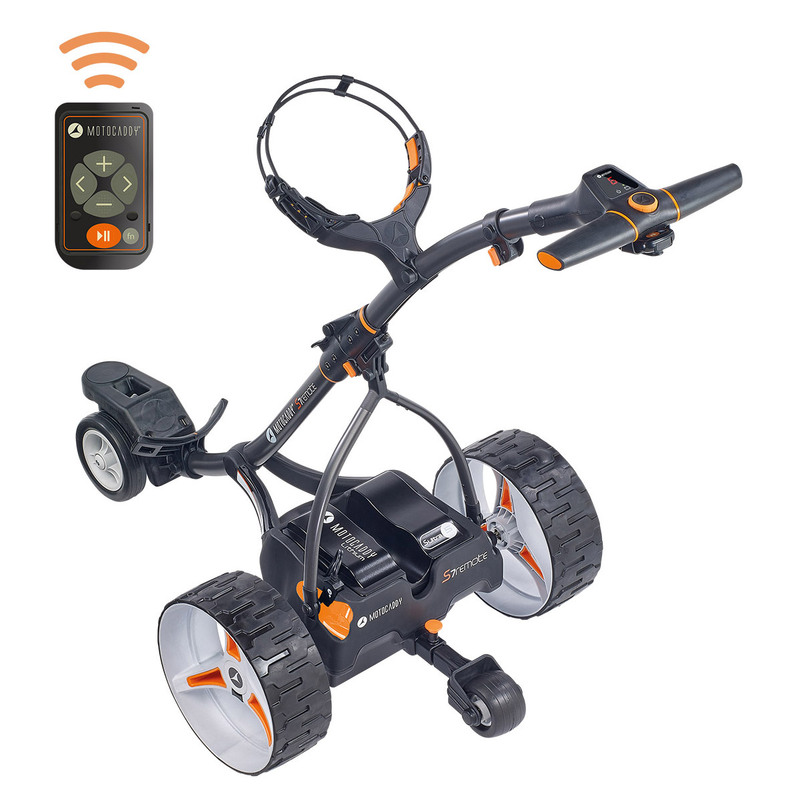 To help assist you round the golf course the trolley has a patented USB charging port to help with different electronic devices you may use, plus features integrated handset storage beneath the main handle. 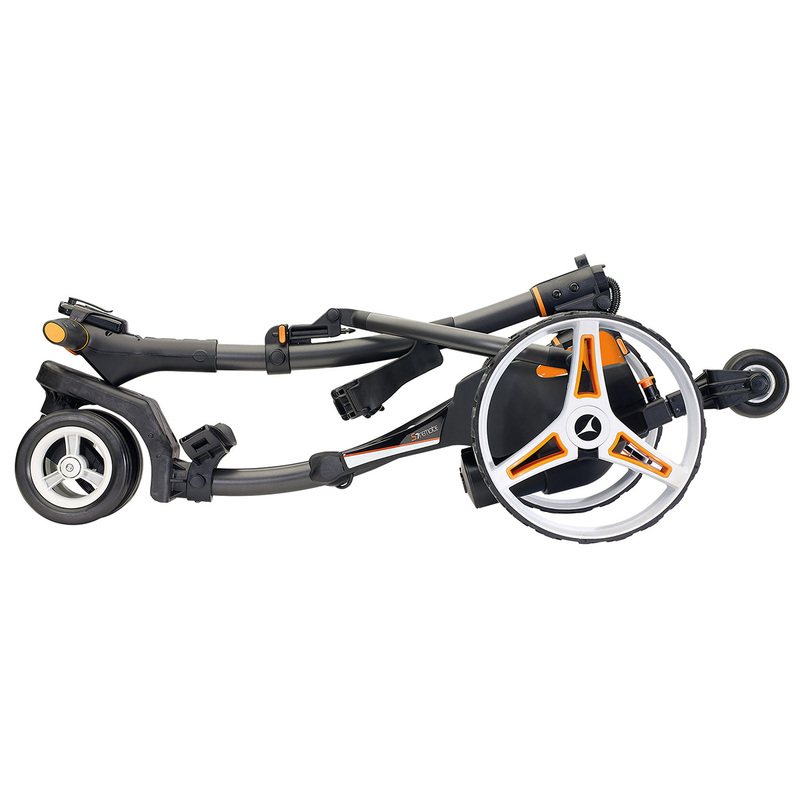 The frame is based on the award winning range and can easily folded using the QUIKFOLD assembly mechanism to place into tightest of spaces when transporting. 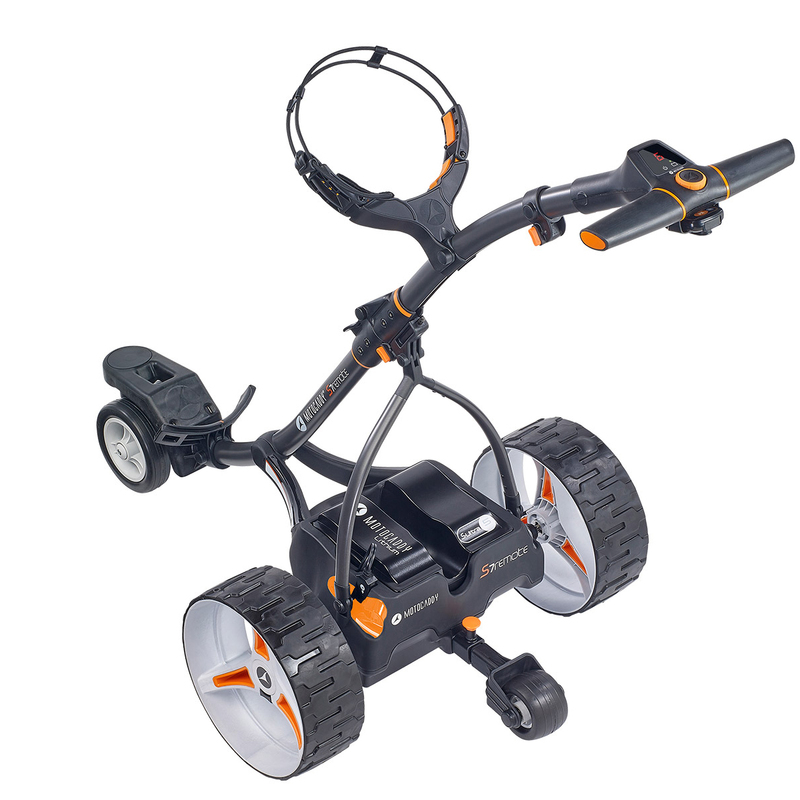 The cart also uses the EASILOCK system which will really help you secure your bag to the trolley if you have a EASILOCK compatible bag. Time to go Lithium, the S7 Remote comes fitted with a high performance Lithium battery which is super lightweight, more compact and has a 5 times longer lifespan than a traditional lead-acid battery equivalent. 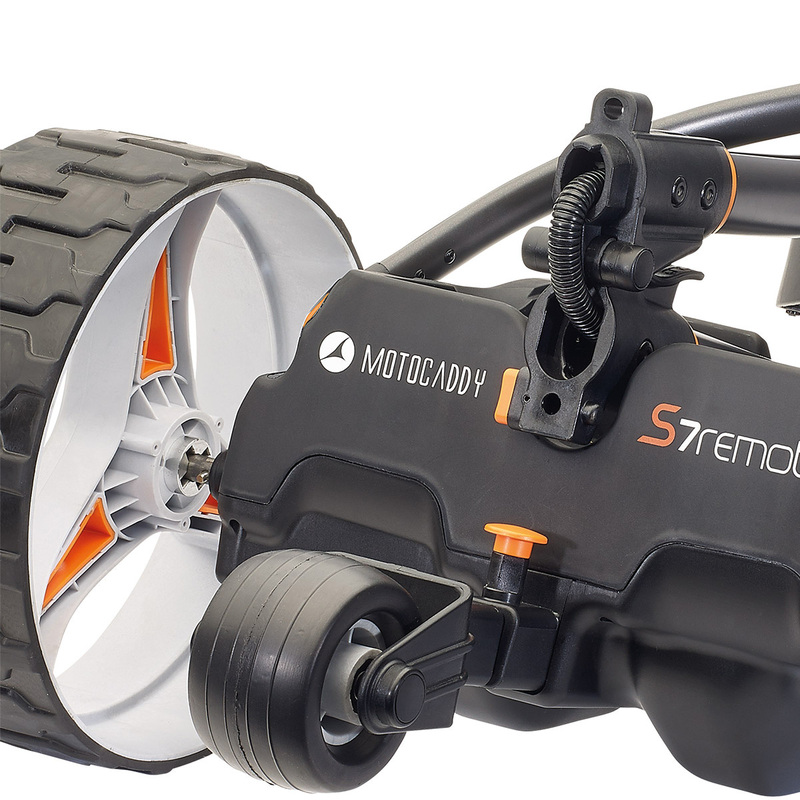 The battery has a quicker charging time saving energy and costs and comes complete with a 5-year warranty.